US company Hapman has been in dry, bulk material handling for over 60 years, writes Craig Thomas. As the inventor of the tubular drag conveyor in the 1940s Hapman’s product line grew to other conveying and material handling technologies as customer needs expanded and changed.The Bulk Bag filler has been a part of the Hapman product line since 1999 when the company recognized the growing need for bag fillers for both light duty, FIBCs (flexible intermediate bulk containers — Big Bags) with capacities of 1 metric tonne or less, or custom heavy-duty FIBCs with capacities of 2 metric tonnes and less. Today, the Bulk Bag filler features and options offered by Hapman has grown to serve a wide range of needs in all major bulk processing industries ranging from mining to food. the NT Series and Heavy-Duty Series Fillers seal bags more efficiently using a pneumatic inflatable dust tight bag spout ring and controls. The inflatable bladder holds the bag tight, and allows for filling with no dusting. they can handle various bag sizes up to 4,000 lbs (1,814kg) with adjustable or fixed frame heights. They move easily using forklift pockets. 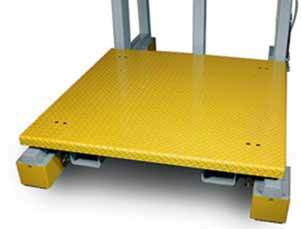 they offer unrestricted bag access from three sides with the cantilevered, heavy-gauge steel tubing frame. optional hang weighing system fills bags more precisely and requires no recalibration when moved to different locations. Hapman offers customers a wide range of standard and custom options, not always offered by other manufacturers’ equipment. The company prides itself on its ability to provide exactly what the customer needs in the time frame they need it. Hapman engineers also work with customers to offer viable cost saving and/or value added options as they learn of their needs and goals. Craig Thomas has over 25 years of industrial material handling equipment and system design experience and has been at Hapman since 2002. His knowledge and experience in material movement and mechanical equipment give him the qualifications to help customers in a wide range of material processing industries.